Capital Growth Management, which currently operates as a subsidiary of Natixis Global Asset Management L.P., was established by Ken Heebner in 1990. Heebner is well-known for his courageous moves in the market, as he is often not afraid to make concentrated bets against the market. He can deliver astronomical results if his bets turn out to be right, but likewise, may suffer astronomical losses when the market moves in the opposite direction of his bets. For instance, Heebner’s losses reached 48% during the financial crisis of 2008. However, Capital Growth Management’s Focus fund has registered only a few money-losing years since its inception in 1997, and delivered an impressive cumulative return of 290.2% during the period of 2000 to 2010, often referred to as the lost decade. According to its most up-to-date 13F filing, Capital Growth Management oversees a public equity portfolio with a market value of $3.49 billion as of June 30, while its holdings are primarily diversified across the consumer discretionary, finance, and real estate sectors. 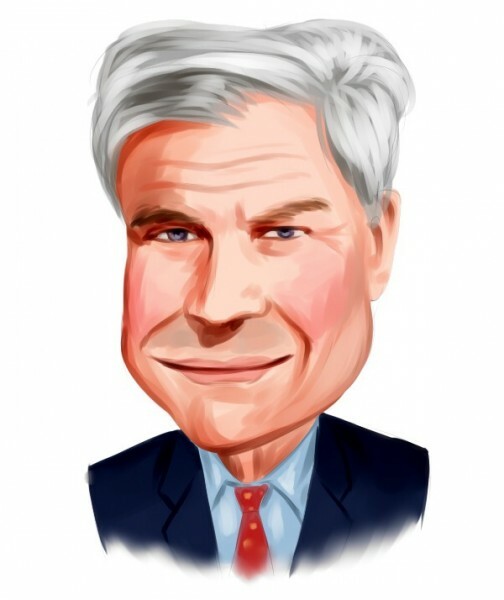 Turning our attention to individual finance companies, Ken Heebner favored these three finance stocks during the second quarter: The Goldman Sachs Group Inc. (NYSE:GS), MetLife Inc. (NYSE:MET), and The Charles Schwab Corporation (NYSE:SCHW). Capital Growth Management took a long position in The Goldman Sachs Group Inc. (NYSE:GS) during the second quarter. Heebner’s investment firm disclosed an ownership stake of 728,000 shares in the company, which is valued at $152.00 million as of June 30. Goldman Sachs recently acquired $16 billion in online deposits from General Electric Company (NYSE:GE), after the latter announced its plans to sell its banking operations unit, known as GE Capital, in an effort to simplify its business. Therefore, Goldman Sachs is acquiring $8 billion in online accounts and another $8 billion in brokered certificates of deposit owned by GE. The aforementioned deal, which also includes the software and technology used to operate the platform, will in turn strengthen the bank’s liquidity profile. Let’s not forget to mention that the shares of Goldman Sachs have gained 4% since the beginning of the current year. In the meantime, Warren Buffett’s Berkshire Hathaway is among the most bullish investors in The Goldman Sachs Group Inc. (NYSE:GS), owning a stake of 12.63 million shares as of June 30.